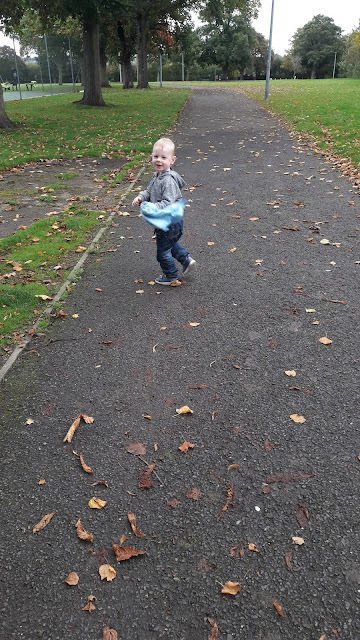 If you have read yesterday's post you will know that I am doing No Spend October the first day went really well where I didn't spend a penny and we went for a lovely autumnal walk to our local park. Blake loved running around in the leaves and we stopped off to play on the swings and slides before heading home via a little garden that they have at the park that I had completely forgotten about until recently. The park also has a little railway we sometimes like to visit to go on the steam trains. There was an event on as the steam trains have been running for 50 years however with tickets costing and doing no spend October we briefly watched the trains go by instead. 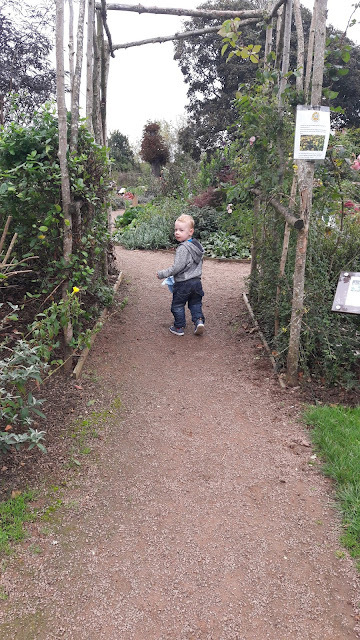 I love these photos of Blake taken as even though he loved having the freedom to run and explore he kept looking back to see that we were still there close by. A massive well done on starting your no spend Oct.